Welcome to Autograph Promotions, a Leeds based printed promotional products supplier to businesses, schools and hotels across Yorkshire and the UK. Through our website, we offer a huge selection of items which can be customised with your company or organisational branding. As one of the UK’s most experienced and reliable suppliers of branded merchandise and promotional products, we understand the importance of commercial and organisational objectives and the need to make your marketing and advertising budgets go further. We go the extra mile to ensure that you have all of the information you need to make the right choices when it comes to product selection, printing, quantities and lead and delivery times. We supply branded items and merchandise to clients across the public and private sector, both locally across Leeds and Yorkshire, as well as nationally throughout the UK. 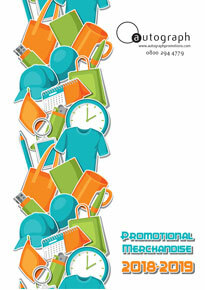 So whether it’s supplying schools and universities with personalised leavers hoodies, keeping hotel rooms stocked with branded pens and pads, or providing corporate freebies for giveaways at exhibitions, we have the knowledge and experience to ensure you get the printed promotional products you need, delivered at the right price and on time. Whether you already have an idea of what branded merchandise you need, or you require some help and guidance with selecting your promotional products, our team of experts are happy to help in any way that we can. To get the ball rolling on your order, please complete our enquiry form or call the team on 0113 228 6553.